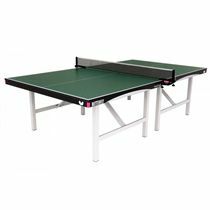 The Butterfly Space Saver Rollaway 25 is a popular indoor table tennis table used in sports centres, recreation halls and schools. 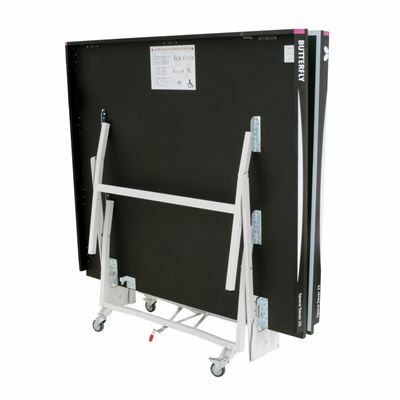 Thanks to its Space Saver design, the table folds easily for storage and has a double security system for added safety. It features a 25mm match playing top with a ‘Perfect Grip’ surface and a sturdy steel frame with magenta corner pieces. 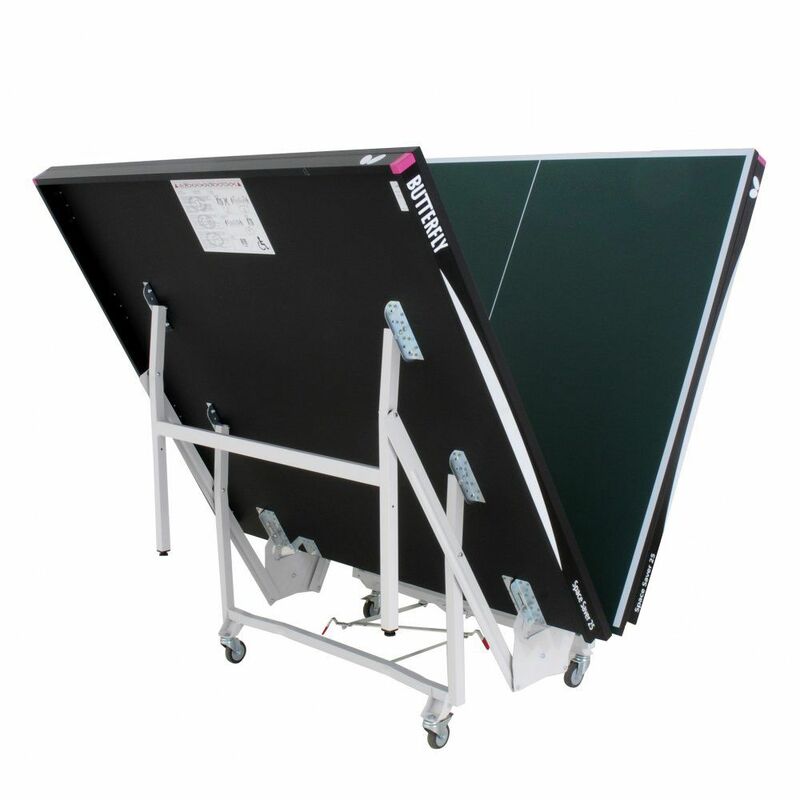 Supported by a very strong undercarriage, this wheelchair friendly table is suitable for heavy use and provides a level playing surface thanks to height adjusters on each leg. It is approved by the International Table Tennis Federation and offers 4 strong wheels for easy transportation. 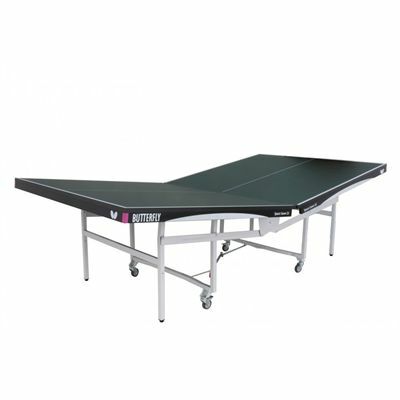 for submitting product information about Butterfly Space Saver Rollaway 25 Indoor Table Tennis Table We aim to answer all questions within 2-3 days. for submitting product information about Butterfly Space Saver Rollaway 25 Indoor Table Tennis Table. We aim to answer all questions within 2-3 days. If you provided your name and email address, we will email you as soon as the answer is published. 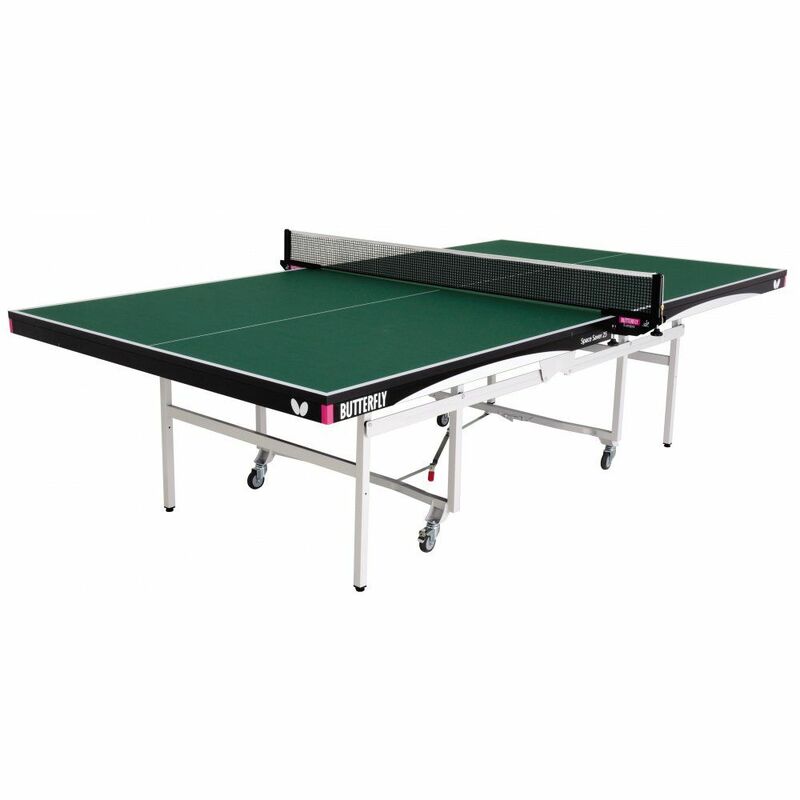 for submitting product review about Butterfly Space Saver Rollaway 25 Indoor Table Tennis Table.